LeeAnn Weintraub is a registered dietitian offering nutrition counseling and consulting services to individuals, families, and businesses in Southern California and nationwide. 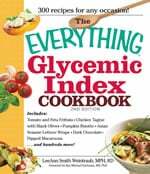 LeeAnn is the author of the Everything Glycemic Index Cookbook, 2nd ed. She is the nutrition columnist for the Los Angeles Daily News and Daily Breeze. You can find LeeAnn on her website, Twitter and Instagram. Although winter squash are available nearly year round, there’s something hearty and comforting about eating them that seems perfect for colder months. 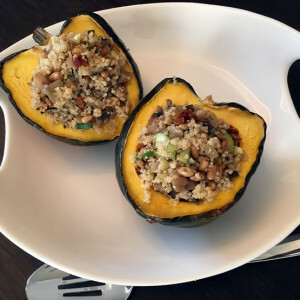 This Quinoa-Stuffed Acorn Squash recipe really makes the squash the star. This dish can stand alone as a vegan-friendly entrée or can be served alongside a nice piece of fish or chicken.